Bring a personal touch to your wall decor with this outstanding vinyl decal. You Are My Sunshine' is a popular song your child is sure to love. Perfect for their nursery, or even bedroom as they get older. 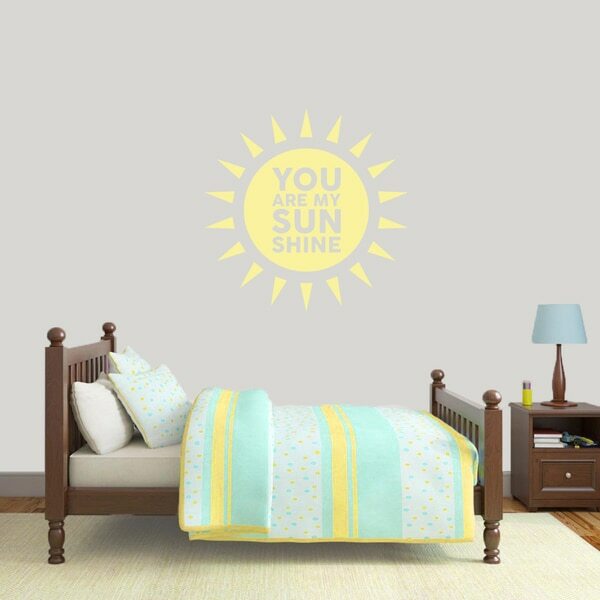 We love this sweet and sunny wall decal. This decal will come in more than one piece for easier application.